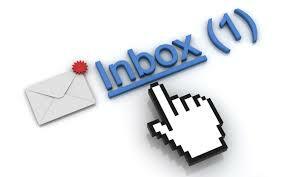 Interactions between email servers and clients are governed by email protocols. The three most common email protocols are POP, IMAP and MAPI. Most email software operates under one of these (and many products support more than one). The Post Office Protocol (currently in version 3, hence POP3) allows email client software to retrieve email from a remote server. The Internet Message Access Protocol (now in version 4 or IMAP4) allows a local email client to access email messages that reside on a remote server. There's a related protocol called SMTP, which we also discuss below. The Messaging Application Programming Interface (MAPI) is a proprietary email protocol of Microsoft, that can be used by Outlook (Microsoft's email client software) to communicate with Microsoft Exchange (its email server software). It provides somewhat more functionality than an IMAP protocol; unfortunately, as a proprietary protocol, it works only for Outlook-Exchange interactions. POP is the older design, and hails from an era when intermittent connection via modem (dial-up) was the norm. POP allows users to retrieve email when connected, and then act on the retrieved messages without needing to stay "on-line." This is an important benefit when connection charges are expensive. Outbound mail is generated on the client, and held for transmission to the email server until the next time the user's connection is active. After it's uploaded, the server forwards the outgoing mail to other email servers, until it reaches its final destination. Most POP clients also provide an option to leave copies of email on the server. In this case, messages are only removed from the server when greater than a certain "age" or when they have been explicitly deleted on the client. It's the copies on the client that are considered the "real" ones, however, with those left on the server merely temporary backups. IMAP is the newer protocol and oriented toward a "connected" mode of operation. The standard IMAP procedure is to leave messages on the server instead of retrieving copies, so email is only accessible when "on-line." Because messages remain on the server, until explicitly deleted by the user, they can be accessed by multiple client computers -- an important advantage when you use more than one computer to check your email. IMAP does not preclude keeping copies on the client, but, in an inversion of the way POP works, it's the server's copies that are considered the "real" ones. That offers an important security benefit -- you won't lose your email if, for some reason, your client computer's storage media fails. IMAP has other advantages over POP (detailed in the links provided below). It is the standard we recommend if you can't use MAPI. At the risk of overloading you with information, you should know that strictly speaking it's only the incoming mail that is handled by a POP or IMAP protocol. Outgoing mail for both POP and IMAP clients uses the Simple Mail Transfer Protocol (SMTP). When you set up a POP or IMAP email account on email client software, you must specify the name of the (POP or IMAP) mail server computer for incoming mail. You must also specify the name of the (SMTP) server computer for outgoing mail. These names are typically in the same form as Web addresses (e.g., "imap.med.miami.edu"). Depending on the client, there may also be specifications for email directories and searching. For example, the medical campus Exchange email system can be accessed by Outlook Web Access (OWA); it provides most of the functionality of an installed version of Outlook. OWA is compatible with most browsers, such as Firefox, Netscape, Opera or Safari, though it works best with Microsoft's Internet Explorer browser.